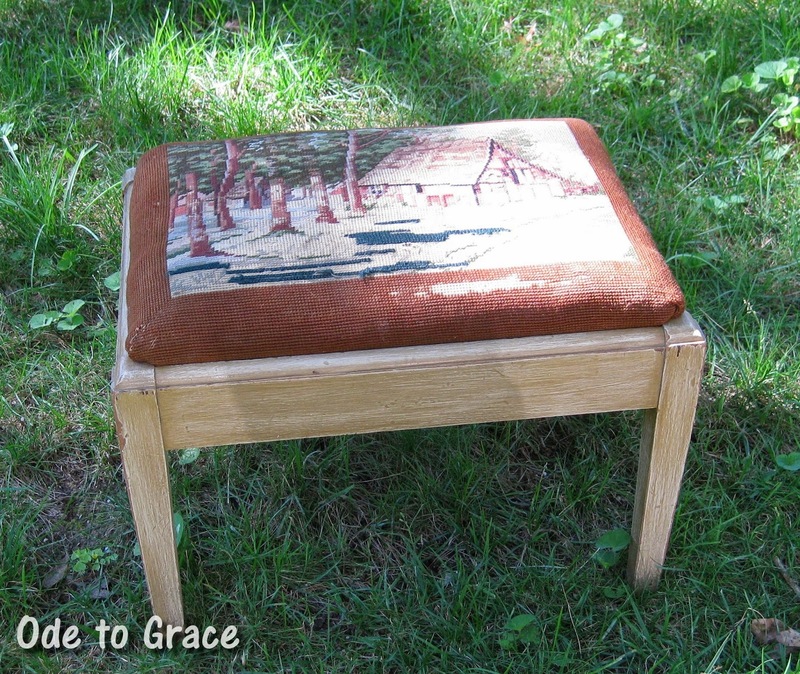 This sad little footstool was begging to be rescued from the thrift store. In a previous life it had been loved - someone put hours into the needlepoint cover. Sadly, the cover was now moth eaten. 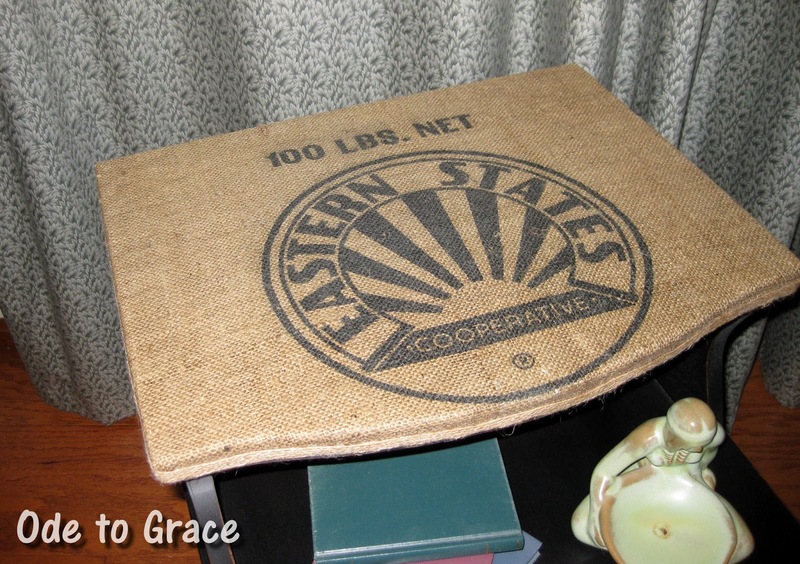 Pink is not one of my go-to colors but I was inspired by a piece of vintage bark cloth that I recently found. 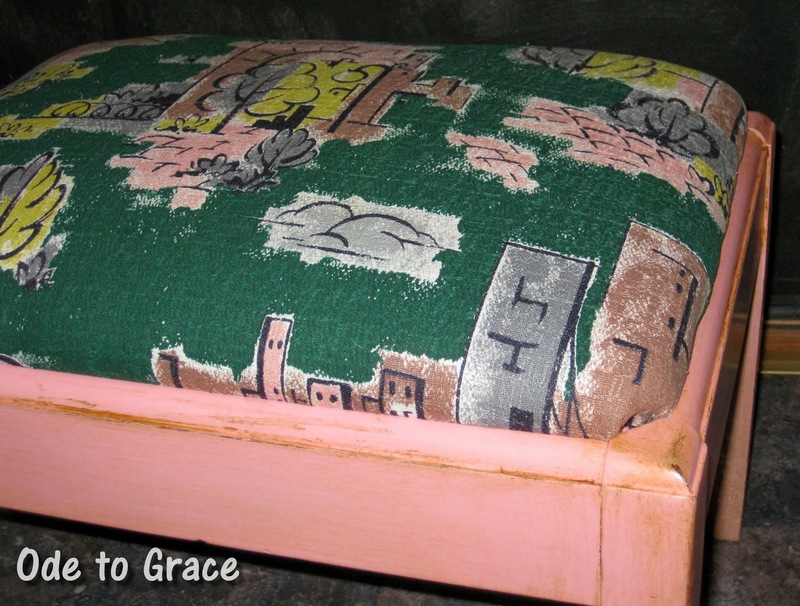 I think the cloth is perfect for this little footstool's new life, so pink it is! 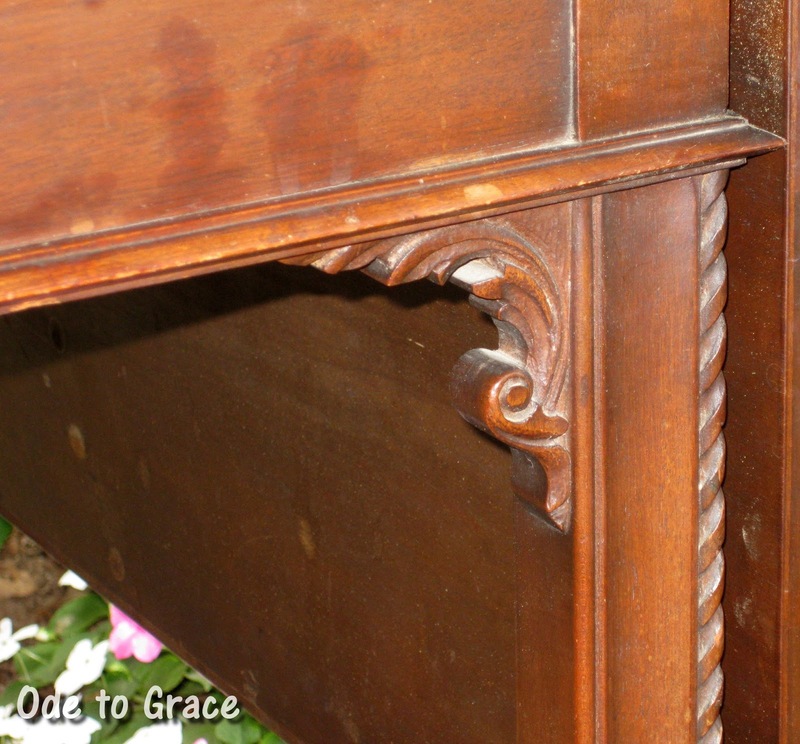 This little end table had seen better days but has some nice detail and an extra end table always comes in handy. 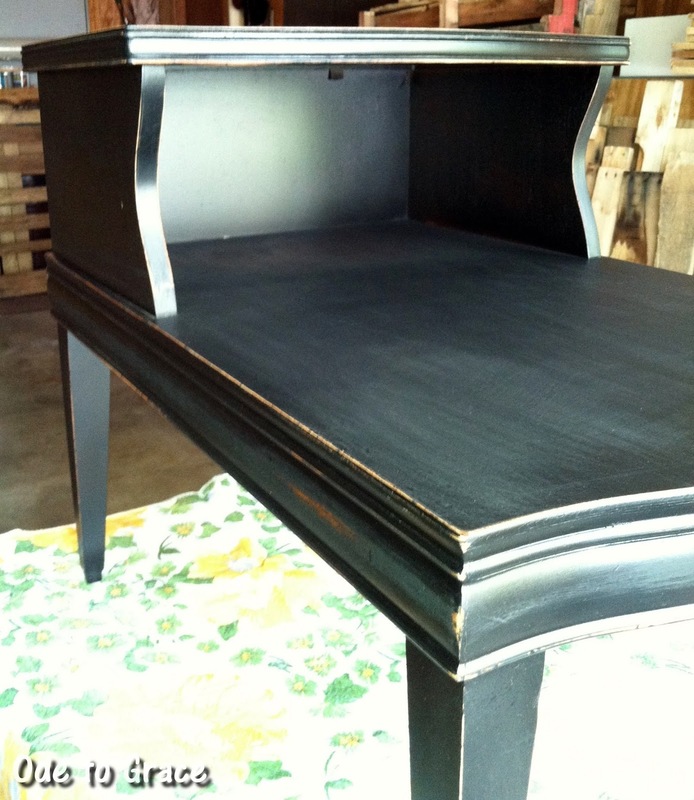 It's been painted with homemade chalk paint in gray Oops! 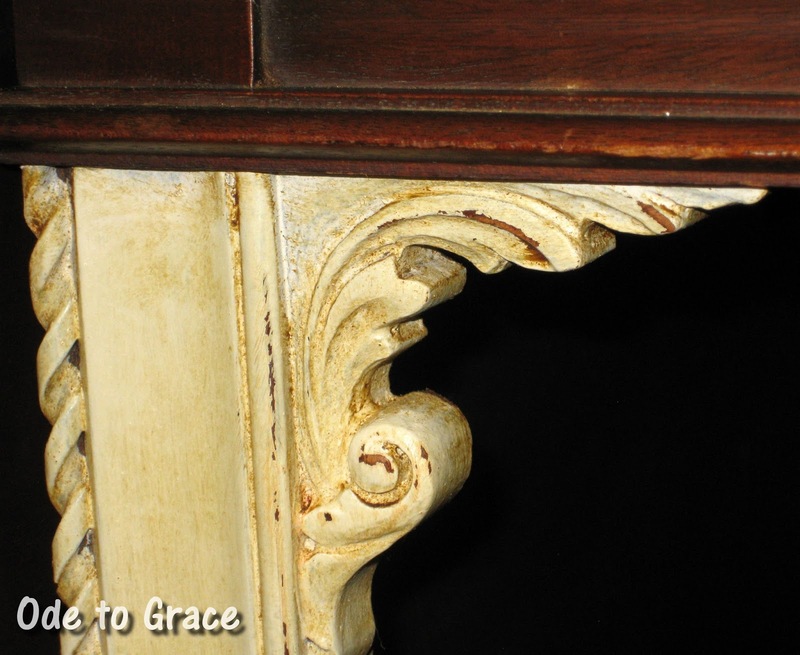 paint and craft paint in a darker shade of gray (granite) brings out the details. I think it's redeemed itself and would proudly sit among your other possessions to hold your lamp & magazines. 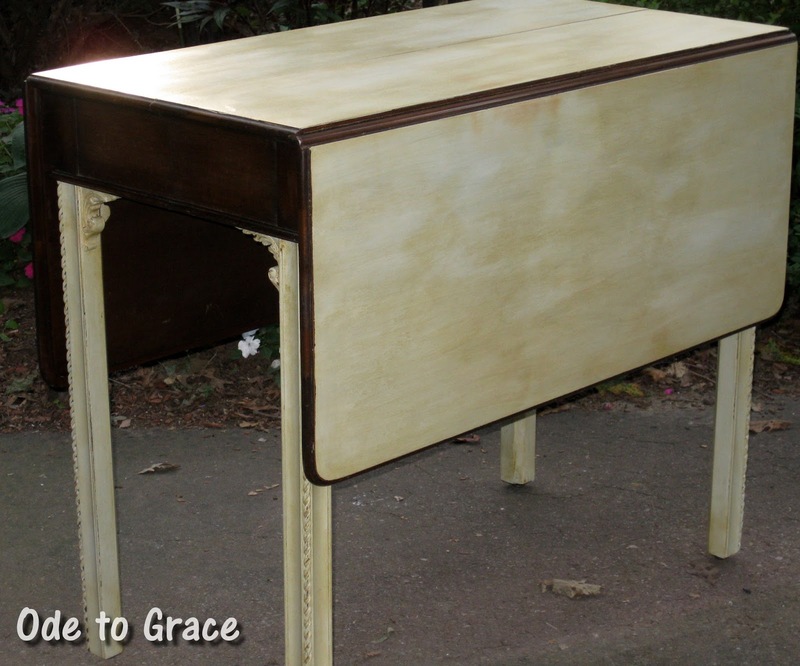 I've been working on a few small projects at the same time - one of which was this vintage student desk. After a couple of coats of satin black and a new web seat, it's ready for school. 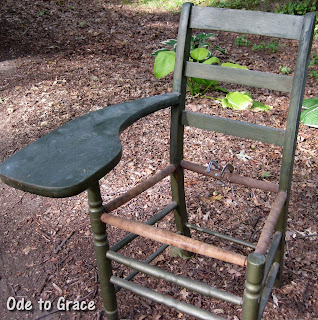 This vintage student chair was painted metallic green. I love the metallics but this green was hideous, not to mention the original reed seat with a hole in the middle. I was so anxious to remove that seat that I forgot to take a photo first. After a couple of coats of Satin Black, it's ready for a new seat - check back to see the new look. 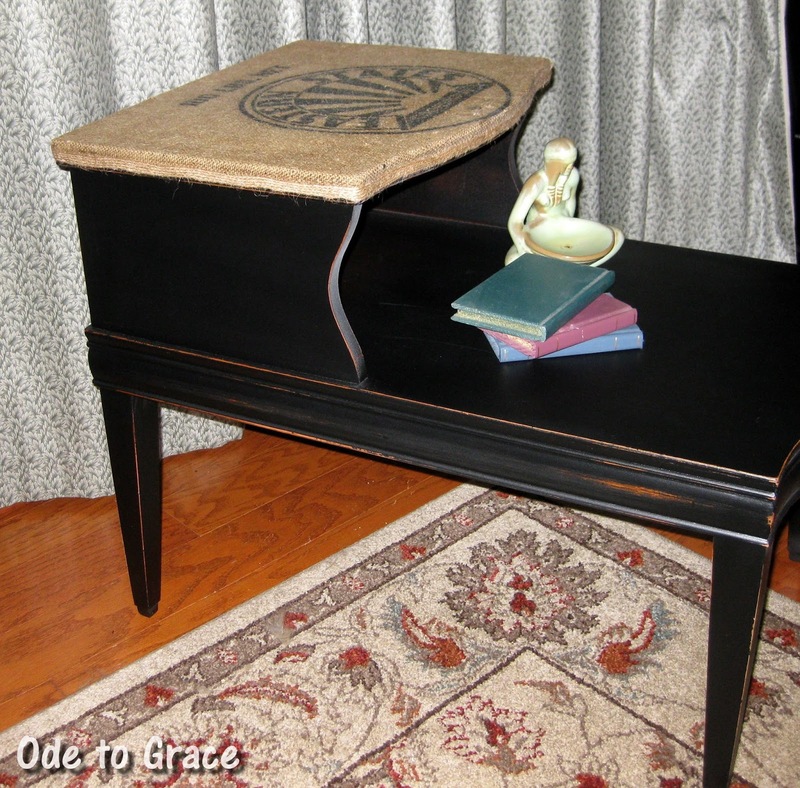 I found this drop leaf table at a yard sale. It has beautiful legs but they weren't getting the attention they deserved. 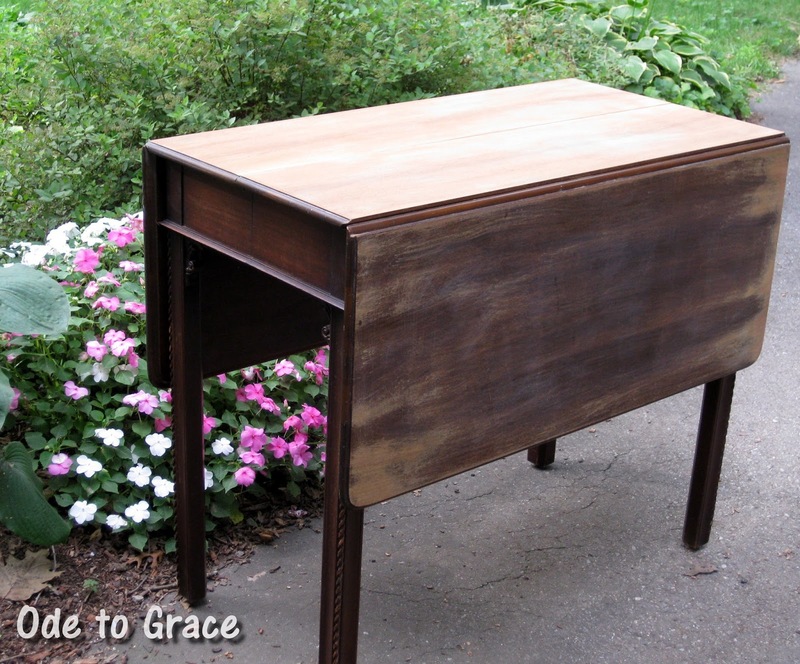 After three coats of MMS Milk Paint in Grain Sack, some light distressing and a coat of Fiddes Antique Brown wax, those legs deserve a few whistles - don't you think? You've seen this style table a million times. 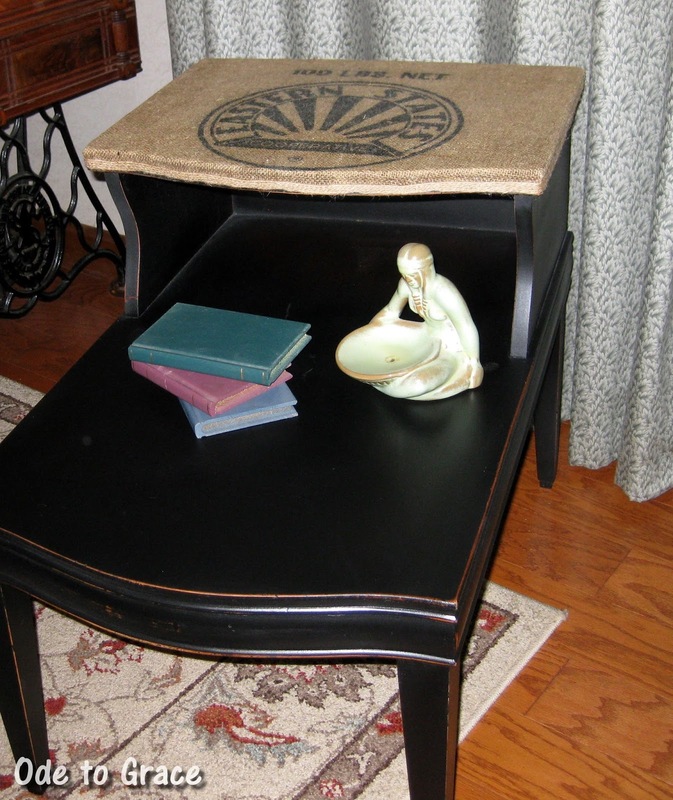 I didn't get a "before" photo but it was in a dark stain with a leatherette insert on the top tier. It's solid wood and was in pretty good shape but obviously very dated and in need of a facelift, so I started by painting it black and distressing it. I love that such a versatile old standby now has a current look.